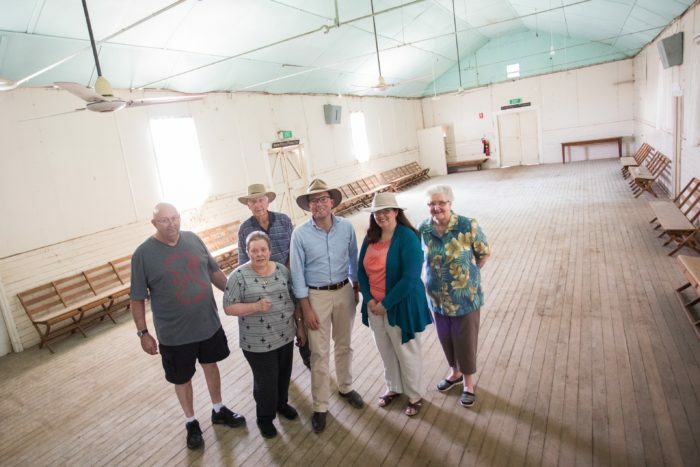 THE old disused Gravesend Hall is about to receive a leg up to bring it back to working order and modern condition, both physically and socially, according to Northern Tablelands MP Adam Marshall. Mr Marshall today announced a $29,628 grant from the State Government grant towards the hall rejuvenation program that would see renovations to restore the hall to its rightful place in the community. Mr Marshall said the group aimed to restore the hall to be a venue for school events, because the Gravesend Public School doesn’t have a hall and events like indoor markets in winter, or wet-weather functions like ANZAC Day ceremonies, wedding receptions, birthday parties, or public meetings.